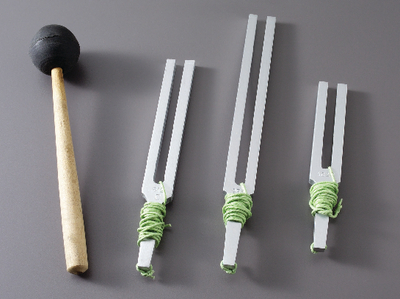 Use this handy set of tuning forks to demonstrate the apparent change in the frequency of a sound wave, depending on the motion relationship between the source of the sound and the person listening. Once students grasp the concept of the Doppler effect in sound waves, they can relate the effect to the red shift. The set comes with three tuning forks, 256, 512 and 1024 Hz; rubber hammer; roll of cord; and instructions.